2018 Interior Design Trends: Discover What's New! That can include moving older parents into one’s home or having college graduates return home before launching their careers. And sometimes it involves making your home a place you can remain as long as you want (aging-in-place). This is something that really hasn't change in many years. Some of the trends, however, do evolve—such as large walk-in showers in the bathroom. Demand for quartz countertops (in both the kitchen and the bath) has skyrocketed. In many places, it is more popular than granite—although granite is still much in demand. It’s not surprising that increasing numbers of homeowners are opting for home automation as quality and consistency improve and pricing drops. It’s always fun to see what the major paint houses choose as their “Colors of the Year.” It always seems to vary from manufacturer to manufacturer—and this year is no different. House Beautiful reports that Glidden Paint has selected their (Black Flame PPG1043-7) as “the” new shade for 2018. Not surprisingly, the folks at Sherwin-Williams disagree and are predicting that their three new color palettes (“Affinity”, “Connectivity”, and “Sincerity”) will dominate the color scene in 2018. 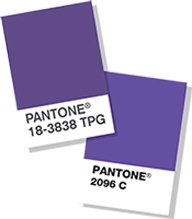 Then, of course, there are the color experts at Pantone who are saying their choice for color of the year is “Ultra Violet” that you see pictured here. And while Pantone isn’t generally known as the dominant voice in interior paints, there’s a good chance you’ll see this color pop up as an accent color for household décor. One continuing trend to look for in kitchens in 2018 is actually an extension of a trend that’s been going on for some time: Kitchen islands. What’s changed somewhat is that homeowners appear to be opting for ever-larger islands that fulfill multiple purposes. Not only are they designed to increase workspace, but they are also designed to accommodate homeowner's desire for casual dining opportunities in the kitchen. Another trend that is continuing to increase in popularity is that of blurring the lines between indoor and outdoor living. In the Naples area that might mean adding a lanai to the back of your home. Or it might take the form of opening the back of your house with the use of full-length windows or sliding doors so that you can easily move between your living room and family room to your yard. Even with the doors closed, the visual impact blurs the line between indoors and outdoors.